Leg cramps, shooting pain in your leg, and numbness and tingling in your foot can all be signs of sciatica. 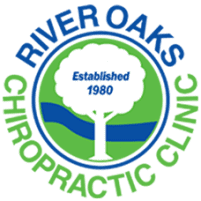 To find out what’s causing your symptoms and get relief, visit River Oaks Chiropractic Clinic in Fort Worth, Texas. The team of musculoskeletal specialists provides evidence-based and effective therapies to help you recover and return to normal without the need for medications or surgery. Schedule an exam and treatment for your sciatica symptoms today by calling. Sciatica is a symptom of any condition that causes pressure or irritation to the sciatic nerve. The sciatic nerve is located on both sides of your spine and travels from your lower back, through your buttocks, down the backs of your legs, and ends at your feet. With sciatica, you can experience symptoms anywhere along the length of the sciatic nerve and symptoms typically occur on only one side of the body at a time. Sciatica symptoms can also be isolated to a specific area, such as your buttock or foot, and don’t have to extend throughout the length of the nerve to be classified as sciatica. It’s also possible that sitting on your wallet or sitting with your legs crossed can put pressure on your sciatic nerve or increase the intensity or frequency of your symptoms. The team can combine multiple therapies during your visits to give you the greatest relief possible from your symptoms. Depending on the cause of your sciatica, they outline a treatment plan and explain how long you can expect your recovery to take in addition to stretches or exercises you can do at home to speed up your recovery. Get relief from your sciatica symptoms by scheduling a visit online at River Oaks Chiropractic Clinic or by calling now.